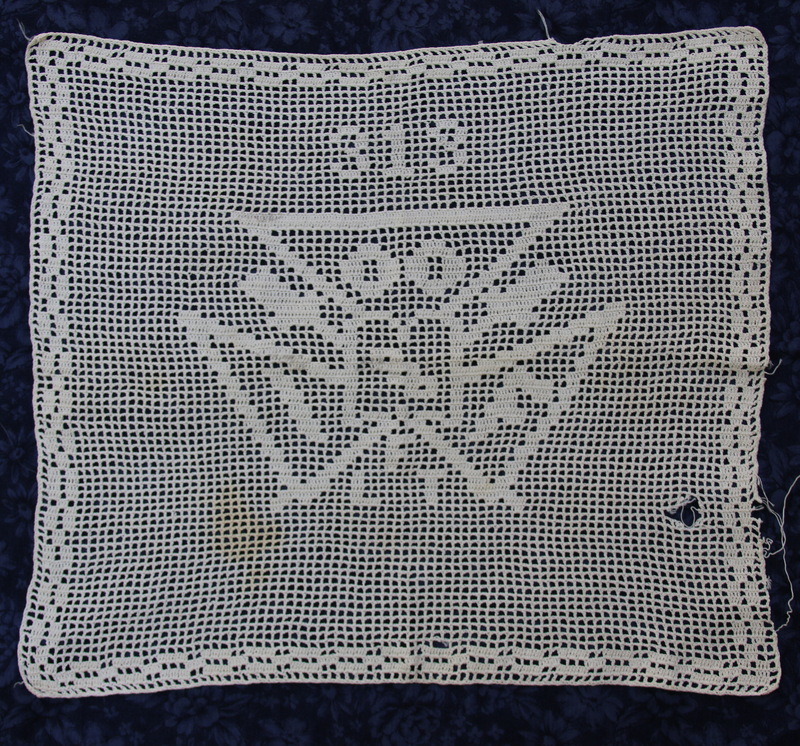 This filet crochet item, possibly a banner, was made by Charles Etta Dunlap Thompson, with crochet cotton, probably in the 1920s. The letters IOOF stand for International Order of Odd Fellows. Suzie Robertson of the IOOF Sovereign Grand Lodge Headquarters in Winston-Salem, North Carolina, wrote in an email that local IOOF lodges are under the umbrella of the Sovereign Grand Lodge, however they come up with their own projects and events. Regarding Mrs. Thompson's IOOF crochet piece, Robertson wrote, "most likely it was a design chosen locally." 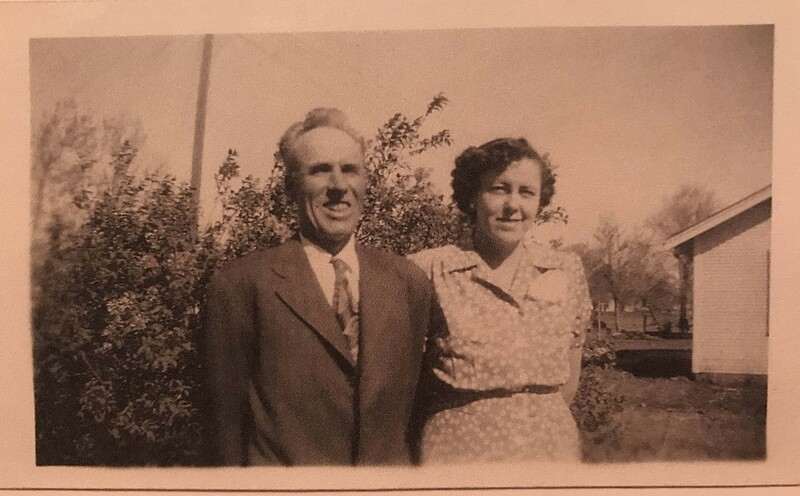 According to family lore, Mrs. Thompson's husband, Cicero Taylor Thompson, Sr., was a member of the IOOF. In the 1920s and early '30s, the Thompson family lived in Dublin, Texas. 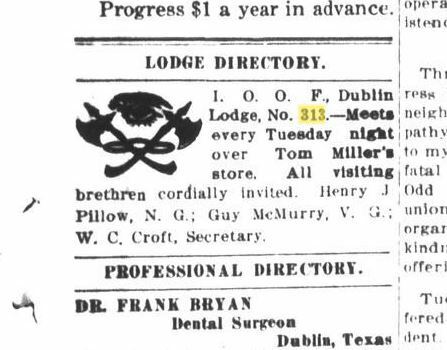 The IOOF lodge in Dublin was No. 313. The banner's last known owner was Mrs. Thompson's grandson, Gary Lee Wade. Since his death in 2017, the banner's location is unknown.